Set on the borders of Sussex and Surrey, Alexander House Hotel and Utopia Spa is a prestigious five star hotel surrounded by 120 acres of countryside estate and perfectly maintained gardens. The glamorous property is famed for its spectacular interiors, personable service and an award winning Utopia Spa. The subterranean spa is carefully set with mood lighting, relaxation spaces and Grecian themed design that together with features such as the therapy pool, indoor and outdoor bubble tubs, saunas and steam rooms, compels guests to slip into a state of utter tranquility. Therapies are on offer to soothe both your mind and body, with treatments from Mediterranean-inspired brand Temple Spa, alongside holistic treatments from ila, Caci, OPI and Loreal. Friends and couples alike can enjoy shared bliss with specially designed treatments carried out in double treatment rooms - the ultimate in joint relaxation! 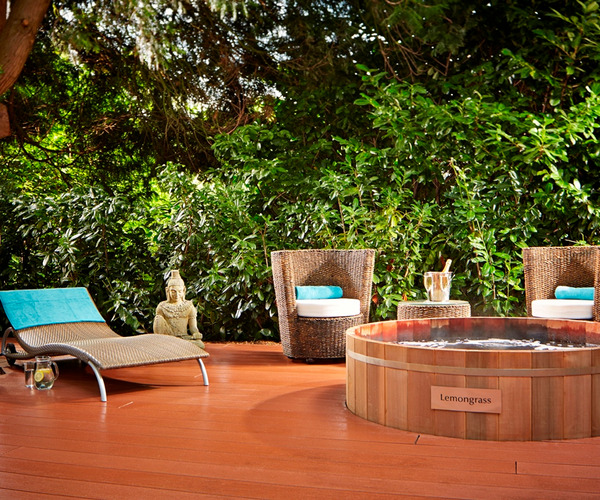 For the ultimate in alfresco spa time, enjoy a dip under the stars or soak up the sun in the new private hot tubs, or discover the spa garden’s sauna. Alexander House boasts a range of dining experiences from Afternoon Tea in one of the gorgeous lounges or served Al Fresco on the terrace, to 3 AA Rosette AG’s, the more informal Reflections or sparkling champagne bar, 1608. Our Grecian inspired interiors have been designed to take guests on an intimate spa journey to relieve everyday stresses and strains. So as you lounge by the pool, melt away under the monsoon showers or plunge into the hydrotherapy pool, you really will feel as though you have escaped to another world. We have 25 treatment rooms including three double treatment rooms, a handful of relaxation lounges and therapists who are experts in their field. We provide an attractive selection of spa days and offer a wealth of spa treatments. Spa guests can make full use of the state-of-the-art gym, join one of our yoga classes or enjoy outdoor activities including tennis court, putting green, bike hire, trekking trail and garden games. Use of Utopia Spa is available to all guests over the age of 18. Guests can complement sessions at the 25-treatment room spa with a relaxing dip in the heated, indoor hydrotherapy pool and outdoor hot tub, outdoor sauna, or an energizing workout at the on-site fitness facility, which comes complete with TechnoGym equipment, a yoga/aerobics studio, and personal trainers. Tennis and hiking are available on property, and there is a walking/running track that winds around the estate. Horseback riding is offered nearby. Several area attractions are located within 30 miles of Alexandra House. Nature aficionados will enjoy exploring the Nymans, Leonardslee, and Pashley Manor Gardens, as well as High Beeches, encompassing 27 acres of exotic flora. For cultural enthusiasts, popular places of interest include the 13th-century Hever Castle and Chartwell, the former family home of Winston Churchill. Families can plan trips to the village of Hartfield, where many of the Winnie the Pooh children's books are set, and visit storybook sites such as the Poohsticks Bridge. Contemporary yet comfortable, guest accommodations at the Alexander House include four-poster beds, Egyptian-cotton sheets, and marble bathrooms, many of which offer Victorian or oversized baths and double showers. Amenities like color TVs, direct-dial telephones, and CD/DVD players provide a modern touch. 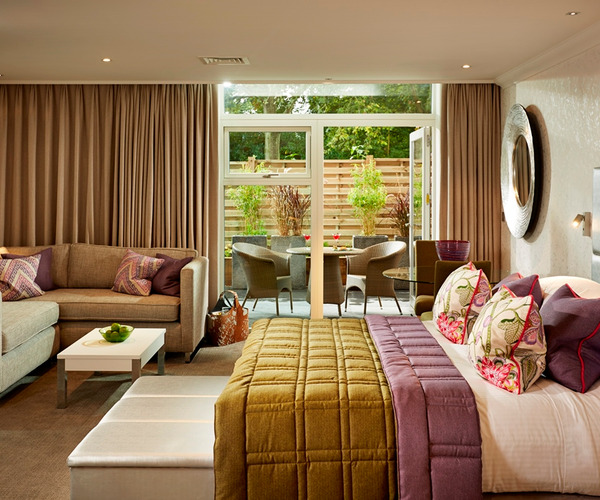 The most luxurious of accommodations are the two Master Suites, which vary in size from 860 square feet to 1,000 square feet and feature garden or countryside views. At Alexander's Restaurant, guests can dine on classic French cuisine prepared with fresh, seasonal ingredients and locally derived produce. Dishes at the AA Rosette-awarded restaurant can be accompanied with a selection from the extensive, 200-plus wine list. Diners can enjoy light options, as well as healthful spa fare, at Reflections Restaurant, a bistro-style eatery overlooking the central courtyard. Kosher, vegan, and vegetarian diets can be accommodated upon request.